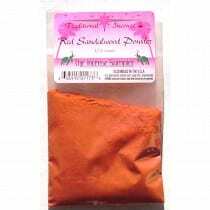 Red Sandalwood powder is useful for love, happiness, attraction, beauty. Esoteric Associations: Venus, Earth. 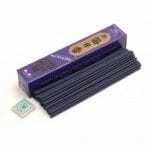 The incense aroma is sweet. soft and smooth.- Use for calming and purification. 1/2 ounce. Sandalwood has a calming and stabilizing effect on the mind, body, and spirit, which is why it has been used in meditation by traditional Hindus and Buddhists for centuries. Ancient holy wood with heavenly scent made for altar offerings. Red Sandalwood powder is useful for love, happiness, attraction, beauty. 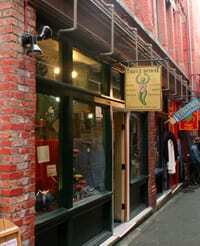 Esoteric Associations: Venus, Earth. 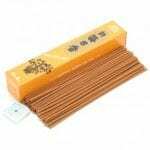 The incense aroma is sweet. 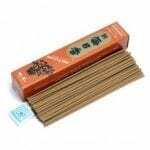 soft and smooth.- Use for calming and purification. Place 1/4 to 1/2 tsp on top of a burning charcoal. 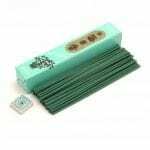 A high quality and purity traditional incense from the Incense Sampler, packed in the U.S. 1/2 ounce.